Published: Oct. 22, 2015 at 02:54 p.m. 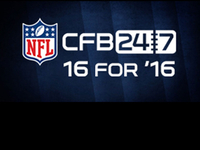 Updated: Oct. 22, 2015 at 04:03 p.m. Underdog story: Trace McSorley's a warrior and a winner, but is he an NFL QB? EAST RUTHERFORD, N.J. -- Tom Coughlin started his Wednesday press conference as he always does, with a lengthy statement hailing the considerable strengths of the upcoming opponent. 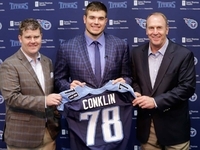 Before taking his first question, Coughlin added: "I'm not going backwards and discussing last week. I'll save you that one." Truth is, he was probably saving himself. The final score on Monday night -- Philadelphia Eagles 27, New York Giants 7 -- was every bit the debacle it would appear for the guys on the wrong side of that ledger. Afterward Coughlin looked like a man in need of an air-sickness bag. 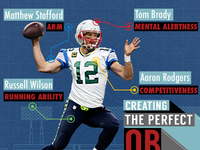 Want more than stats and scores? 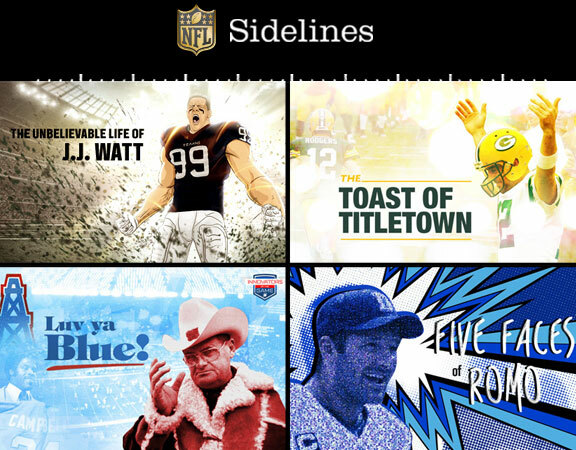 Head to Sidelines, where NFL Media reporters dig deep to find the compelling, thoughtful stories that are the heartbeat of this game. "We're going to have to get our chins off the floor real quick," he said late Monday night. To help in that regard, Coughlin likely has reinforced in recent days one of his more recent motivational themes: "So what? Now what?" A messy loss in Philadelphia? When the Eagles hung 27 unanswered points? And made Eli Manning's pocket pocket-sized? Yep. So what? Now what? "We'll move forward," said running back Shane Vereen, a first-year Giant who won a Super Bowl in New England last season. "One thing this team has learned early this season is resiliency." Coughlin did jumping jacks in the team meeting room when Big Blue was 0-2. 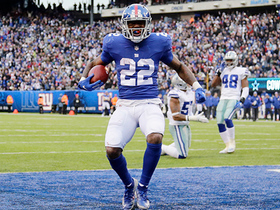 Now, the Giants are tied with Philadelphia (3-3) atop the muddled NFC East. Their last-minute win in Week 5 over the 49ers, on a drive orchestrated by Manning, was exhilarating. The losses to the Cowboys and Falcons in Weeks 1 and 2 -- games they led in the fourth quarter only to be done in by self-inflicted wounds -- not so much. But the loss to the Eagles was different. It was complete. The Giants, particularly offensively, earned every bit of their fate. As one player in the losing locker room said, "Now we've lost a game." Did they ever. The Eagles turned three Giants turnovers into 14 points. The Giants turned four Eagles turnovers into none. 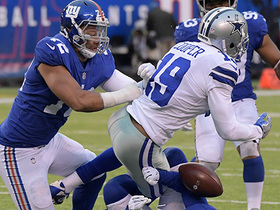 The Giants committed 12 penalties, including two that extended Eagles scoring drives. "You can't win football games like that," defensive lineman Cullen Jenkins said. "A big game, and we folded. We can't do that if we want to be a championship team, a championship-caliber team. You got to be able to respond in big situations, and we didn't do that." Which brings us to Odell Beckham Jr. On Monday, he made seven catches for 61 yards and a touchdown on eight targets. He was targeted once -- once -- after halftime. Yes, Manning was under pressure and sacked three times. Yes, the Eagles' defense gave Beckham what has to be the expected amount of attention. But Beckham is the Giants' best playmaker and it's not close. He has to have more chances, and the numbers back that up. 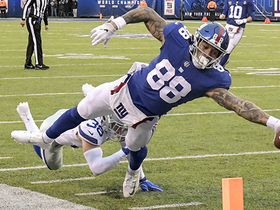 In his pro career, which spans 18 games, Beckham averages more than 130 receiving yards and more than one touchdown when he gets at least 10 targets in a game. The Giants are 5-5 in those games and average 25.6 points. When Beckham is targeted fewer than 10 times, they are 2-6 and average 19.6 points. On the final drive against San Francisco, Beckham drew a critical pass-interference flag. That's not unusual. 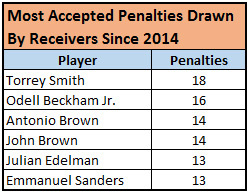 Since 2014, only Torrey Smith (18) has drawn more penalties than Beckham (16). Fifteen of the 16 have resulted in first downs. So, you would think, getting the ball into Beckham's giant-sized hands -- or at least targeting him -- has to be a priority. Somehow. Some way. Yet Manning wasn't willing to go there Wednesday. And neither was Coughlin on Thursday, maintaining that other players simply have to take advantage of opportunities when Beckham is (presumably) covered. Manning: "I don't think it's the theme of our offense: 'Hey, how many times can we get ball to Odell?' It's about finding completions and going where the defense is telling us and moving the ball." How about dictating to a defense? 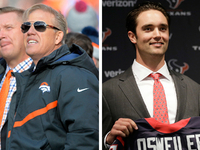 "You've got to move him around, don't make it easy for [the defense]," Manning said. 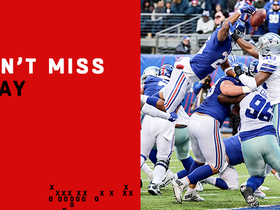 "But other guys have to make plays. You've got to find the guys that have the single-coverage and those guys have got to win for us. So it's not a situation where you try to get a receiver to beat double-coverage all the time. It's playing your reads and going to where the defense is telling you to go." Now would be a good time to mention that the Dallas Cowboys come to town Sunday. A year ago, Beckham made four touchdown catches in two games against Dallas, including a one-handed grab that you may recall. There are times, Coughlin agrees, when talent trumps coverage. When it comes to Beckham, the Giants should remember that.